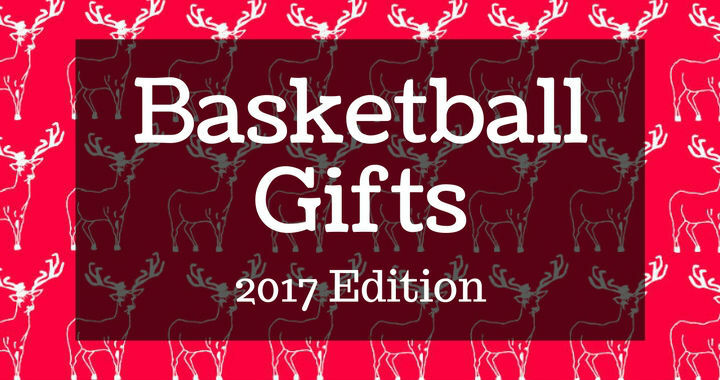 Below I’ve listed the top 14 basketball gifts I recommend for players or coaches. Disclaimer: I will receive a small commission when you purchase through any Amazon link listed below. It won’t change the price of the product for you and will allow me some extra money to invest in BFC. The Dribble Up basketball is a smart basketball that can be used by players to increase their ball-handling ability. It does this by utilizing the camera of an iPhone or iPad (ios only at this stage). 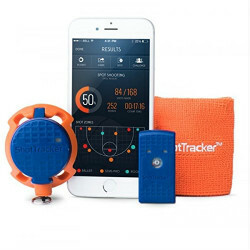 The camera locks on to the basketball’s surface and then tracks the basketball while a player completes dribbling workouts on an app. 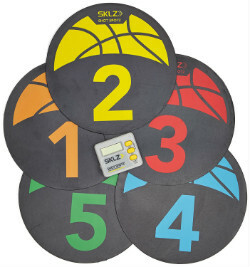 (The basketball comes with a stand so a player can perform these workouts on their own). 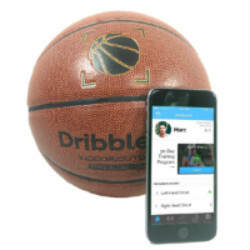 The Dribble Up app contains many dribbling workouts players can select rookie, pro, or superstar difficulty based on their current ball-handling ability. Once the player has performed a workout, they’ll get statistical data on their dribbling speed and will be graded with a letter. This is great for letting players know if they’re improving or not. This is great for any player looking to improve their handles. The guys at Dribble Up have been kind enough to give all BFC readers a special Christmas discount. Use the code ‘CoachMac’ in the coupon section of the checkout for 10% off. ShotTracker is used to automatically record makes and misses when players are working out by themselves. It does this by using a sensor on both the wrist (held by a wristband or a sleeve) and the basketball net. 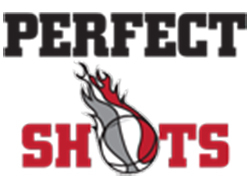 After purchasing the product and downloading the app, players select from a large range of easy-to-follow shooting drills (includes videos) and workouts and ShotTracker will record their statistics. • It makes every single shot important. Players don’t want to ruin their stats so they’ll put complete focus into every shot. • It allows players to see where they shoot well from on the floor and where they need improvement. • It encourages players to shoot more! There’s even a community aspect where players can compare themselves to other players their age and participate in shooting challenges. With the endorsements of big names like Klay Thompson and Magic Johnson, you can be sure this is a great product for any player! FastDraw is the #1 software on the market for coaches to diagram plays and drills. It’s the software I use to create the images for every drill and play that you’ve seen on the BFC website. But not only will you be able to create your own, when you purchase the software you’re able to access over 5,000 other drills and plays from their playbank. FastDraw is used by all professional basketball teams, 85% of D1 college teams, and over 8,000 high school teams. Everyone that’s serious about coaching needs this. If a player has poor shooting form, one of the best gifts you can get them is to get their shot evaluated by an NBA shooting coach. Now, thanks to NBA shooting coach David Nurse, anyone can do it. • A 3-minute personalized video on your jump shot. • A personalized scouting report. • The top 3 shooting adjustments you need to make. • Tailored videos to aid your development. There’s not a player alive that wouldn’t benefit from this service! David has been kind enough to give all BFC readers a special Christmas discount. Use the code ‘camp123’ in the coupon section of the checkout page for a 25% discount. No basketball gift guide would be complete without recommendations for the most important piece of equipment in the game of basketball: a normal basketball. 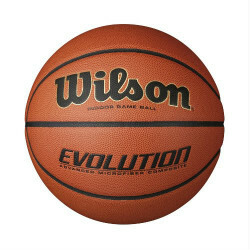 The Wilson Evolution my favorite in-game basketball that comes at a good price. It’s tough finding a basketball that combines soft feel, great bounce, and great grip, but the Evolution ticks all these boxes. This is the #1 indoor basketball I recommend. The SKLZ Shot Spotz are flat markers that provide reference points on the floor for players during practice. 1. Place the Shot Spotz on the floor to mark where you want players to shoot from during drills. 2. Place the Shot Spotz on the floor to mark where players should be positioned when learning offenses and defenses. These can be a fantastic alternative to cones in many situations and can be used for all levels of basketball. They even come with a digital timer and basketball drills! The #1 problem youth players make when dribbling a basketball is looking down at the basketball. This stops them from seeing open teammates on the floor and being able to make the right basketball play! 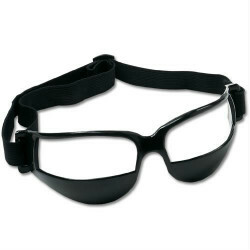 A cheap training aid that will assist players to keep their heads up are ‘dribbling glasses’. The glasses do this by blocking out the lower field of vision while not inhibiting shooting or any other part of working out. For such a cheap price, I highly recommend these for all youth basketball players looking to improve their dribbling and court vision. 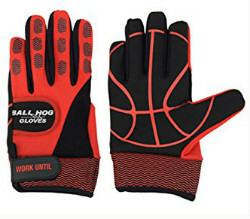 The Ball-Hog Gloves were created by Coach Koran Godwin. Their purpose is to improve your ball-handling by removing the natural feel for the basketball and forcing your fingers and hands to work harder to control the basketball. As you can imagine, when players remove the gloves they feel like they’re in complete control! The gloves can be purchased with or without added weight. 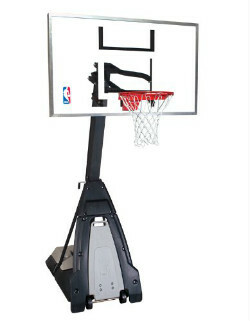 The purpose of the added weight is to improve hand speed by forcing players to work harder to perform quick movements. My favorite book of 2016 (and one of my favorite books ever). 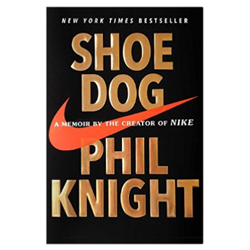 In Shoe Dog, Phil Knight shares the challenges and obstacles he overcame while building one of the most iconic brands of all time: NIKE. But after hearing so many positive reviews, I decided to give it a shot. And I’m super glad I did. This is the most inspiring and authentic books I’ve read in a long time. First, I have not read this book since it was only released a month ago and I’ve got a long list of books to read. 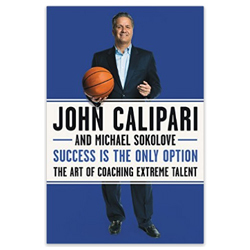 With that said, after reading his previous book and since he’s a basketball coach that I highly respect, I have no hesitation in recommending his new book to all coaches. Calipari is a master at recruiting talent and then getting them to buy-in to the team and work together. This book contains many of his team-building strategies that apply to all levels of basketball and also away from the basketball court. Any person in a leadership role will learn a lot from this book. 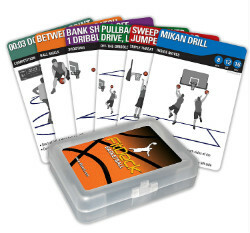 These basketball playing cards are designed to make working on basketball skills fun for a youth player. There are 56 cards in the deck containing many different drills that will improve a wide variety of skills. While the creators claim these cards a great for players of any age, I recommend them for players between the ages of 5 and 12. The idea is to draw out a card at random and then perform the exercise listed on the card for 60 seconds. Simple, huh? If you’ve got a young player still learning the game and want to add some fun to their training, check these out! If you have the space for it, a basketball hoop at home is a fantastic way to keep your kids active outside while improving their basketball skills. I was lucky enough to have one all throughout my childhood and remember thousands of happy hours spent dribbling around and shooting in the driveway as a kid! Since we have coaches of all different income levels reading BFC, I’ve included 3 different basketball hoops in different price ranges below. 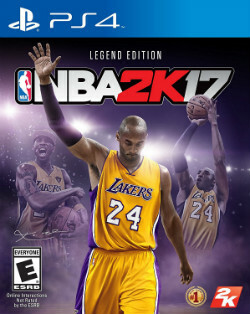 If you ask any player what they want for Christmas, I promise you that NBA 2K17 will be one of the first items that spring to their mind (if they don’t have it already). This new edition contains gameplay and graphics that are better than ever before. While I know many parents and coaches that are opposed to buying products that encourage young players to sit in front of a TV screen for hours at a time, I don’t have a problem with video games in moderation. Rest is a very important part of being an athlete and video games can be a great way for players to relax. If you know a coach that works in an office, this is the perfect gift idea for them! Admittedly I don’t have a Document Dunk (yet), but I saw it while browsing Amazon and couldn’t help but include it. 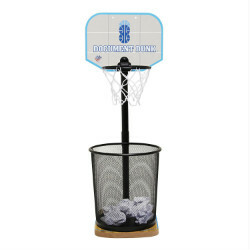 All you need to do is place a trashcan on the stand and your office becomes a mini-basketball court without taking up any extra room. This is the new #1 item on my wish list!